BJP candidate Krishan Middha was leading over his nearest rival from the Jannayak Janata Party by a margin of over 10,000 votes after the sixth round of counting for the high-stakes Jind bypoll in Haryana, officials said Thursday. BJP candidate Middha took a lead over his JJP rival Digvijay Singh Chautala after fourth round of counting. At the end of the sixth of the total 13 rounds of counting, Middha had polled 26,412 votes as against the Jannayak Janata Party (JJP) candidate's 16,306 votes, officials here said. Congress candidate Randeep Singh Surjewala was at the third spot as he had polled 11,029 votes. In a setback for main opposition Indian National Lok Dal, which held the seat, its candidate Umed Singh Redhu was trailing at fourth spot. Counting of votes for the bypoll began here Thursday amid tight security arrangements. The counting began at 8 am and results are expected to be out by afternoon, the officials said. Talking to reporters in Chandigarh, Chief Minister Manohar Lal Khattar exuded confidence that the BJP would win the bypolls. Earlier in the first three rounds, Chautala led over Middha by margin of nearly 1900 votes. Twenty-one candidates, including two women, had contested the bypoll, which were held on January 28. A healthy voter turnout of 75.77 per cent was reported in the by-election to the Jind assembly constituency, dubbed as a prestige battle for the ruling BJP, the Congress and the Indian National Lok Dal (INLD) ahead of the parliamentary and assembly polls. The bypoll is important for the newly-floated Jannayak Janata Party (JJP), which was formed after a split in the main opposition INLD. The by-election was necessitated following the death of INLD MLA Hari Chan Middha, whose son Krishan Middha recently joined the BJP and contested as the saffron party's candidate for the bypoll.Hari Chand Middha had represented Jind twice. The INLD banked on Redhu to retain the seat. The JJP has put its weight behind Digvijay Singh Chautala, the younger son of jailed leader Ajay Singh Chautala, who broke away from the INLD and floated the party last month. Loktantra Suraksha Party (LSP), which is led by BJP's rebel MP Raj Kumar Saini, also entered the fray and fielded its candidate. The bypoll was held just months ahead of the Lok Sabha and assembly elections in Haryana making it even more important. Arch rivals BJP, Congress, INLD and JJP are eyeing the results as a self-assessment exercise ahead of Lok Sabha polls this year. 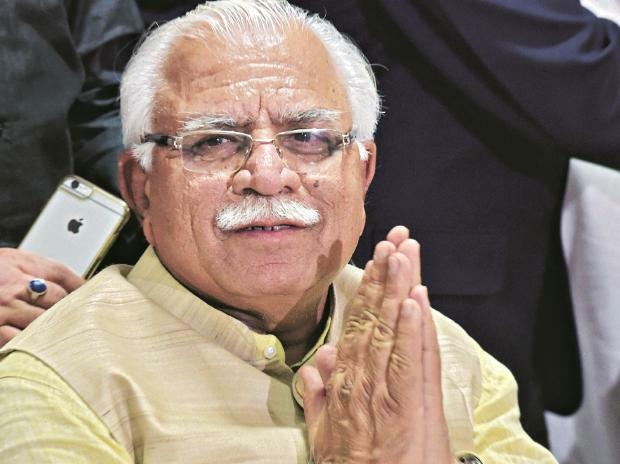 The high-stake election is considered a referendum on the Manohar Lal Khattar government and also a semi-final ahead of Lok Sabha elections.